Huntington Beach Homes | $700,000 near the beach! Looking for affordable Huntington Beach homes near the beach? Look no further. Have a look at this new HUD Owned property near Edison Community Park. 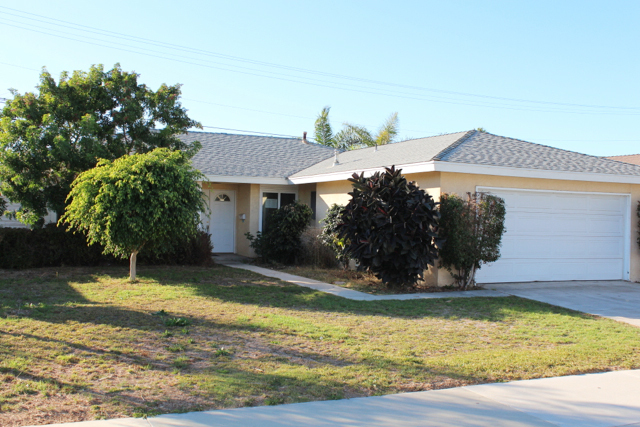 Terrific location for this single level home in Huntington Beach. Located less than a mile from the beach in a family friendly subdivision. This Home features 4 bedrooms and large spacious living room with fireplace. Double door entry, 2 sliding glass doors give access to the spacious backyard. One from the master and one from the kitchen eating area. The kitchen has a long breakfast bar and plenty of cabinet space. Master Suite and secondary bathroom for the additional 3 bedrooms. Inside laundry. The garage has an additional room built into the garage area. This property needs cosmetic improvements but has great potential. Located close to the beach, parks, schools, shopping and more. HUD Owned! HUD owned homes are great opportunities for owner occupant buyers. When buying a HUD owned home that is insurable ( a home that qualifies for FHA financing) investors are not permitted to make offers on these properties until after it has been listed for 30 days. This home is only available to owner occupant buyers at this time. The initial bidding period will expire on 11/25/13. No offers will be reviewed prior to that date. For a private showing please call Jesse Madison at 949-306-8416. For more information on Huntington Beach Homes and the HUD Selling Process visit www.HUDHOMESTORE.com or www.HUD.gov.